Our work is about you. We will challenge you and ask the difficult questions, but we don’t come to impose a system. We work with you to understand and develop your school and its practices, drawing on our team’s years of experience as teachers, curriculum leads and heads to help make changes that last. Whether we’re exploring your curriculum, coaching one individual or giving you the insight and tools to reshape your school’s whole identity, we will be in your corridors and classrooms, part of your team as we work together. Your curriculum is the emobiment of your school's ethos and identity. It should be shaped by deliberate action and strong leadership. We help you find your school's USP and create a curriculum that will inspire learners, teachers and leaders. "If you are involved in education in any way you need to check out Lighting up Learning, they will help you be better. FACT." 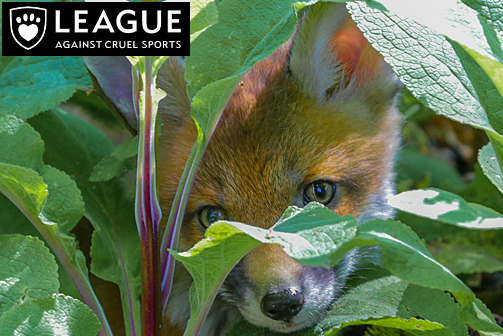 — Chris Luffingham, Director of Policy, Communications and Campaigns at the League Against Cruel Sports. "EFMMa [Pedagogical system change programme] has been possible thanks to the support of @lightinguplearn. Great example of UK expertise helping transform realities in Colombia." "Thank you so much for your detailed and practical coaching training. It was really thought-provoking with lots of opportunities to practise, discuss and feed back about a variety of techniques, which I am sure will be very useful for many aspects of my professional life. Highly recommended to anyone starting out or interested in learning more about approaches to coaching." "The Curious-city curriculum fits perfectly into the ethos and values of our school. The levels of engagement from families and children has been incredible. The children have loved learning and it has had an impact on the whole school. It is more than just a curriculum!" Headteacher Shelley Flanagan on how The Dolphin School used Curious-city to get a fresh start. Our primary purpose in all our curriculum work is to get you understanding what you want and need from your curriculum. We will challenge and guide, but ultimately it is you that will find your way. One approach we offer is Curious-city, a way of engaging with NC2014 that we have developed over the past few years. It is based on an enquiry-led pedagogy and “States of Being”, that get learners becoming Authors, Scientists, Historians etc, rather than focusing on topics or projects. Overarching themes and structure are mapped to cognitive development through all year groups. Read more about the Curious-city approach. To make use of a unusual classroom space, we developed learning zones that allowed students to work in different ways. We ran an “enquiry in a day” that went through engage, practice and challenge, using the zones for group work, solo research and lecture-style information gathering. We worked extensively with Dolphin’s all-new team to develop, and enable them to deliver, a curriculum that is right for them; local, culturally relevant and academically robust. The response from staff, parents, Ofsted (read the report here) and most importantly the learners, has been amazing and the need for our support is now minimal. To adapt Curious-city a specialist setting, props and makaton signs have been used to describe the states of being in a more physical way. Children have engaged with them by creating artwork and songs. We worked with class teachers to ensure the enquiries supported learning outcomes for each child as an individual. The school’s vibrant and innovative curriculum was bursting with whole-school initiatives, but topics had become unwieldy. We reviewed their practice and attitudes through face to face conversations with staff, pupils and parents. Working closely with the Curriculum Lead, we evaluated NC coverage, skills progression and planning, then slimmed down the existing curriculum, making it more focused and effective. Curious Linguists provides a new approach to languages at Key Stage 2. Like Curious City, it is based on enquiry-led learning and aims to generate curiosity and excitement about languages and their associated cultures. It has been designed for non-specialist teachers to be able to provide inspiring language instruction. It begins with basic linguistic principles and develops as students choose a language to specialise in. Teaching is a tough job, but also a hugely rewarding and inspiring one. The difference between those who flourish and those who struggle is good training and support. We've spent years running courses, advising schools and training and mentoring to help new teachers thrive. We now also have our very own Salaried School Direct course, giving career changers a great route into primary teaching. 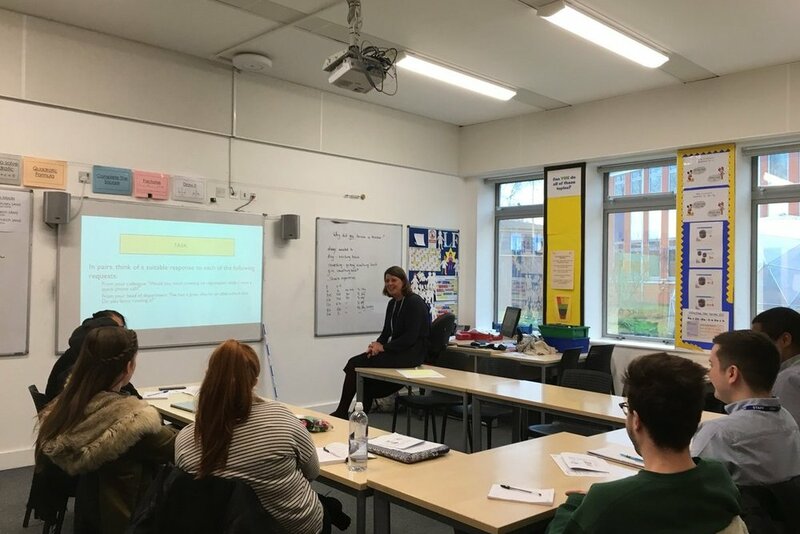 Having advised on and run ITT programmes for other institutions for four years, we have now initiated our own Salaried School Direct Course, in association with Swindon Teaching School. This allows us to take a small cohort of career-changers and train them to become the sort of versatile, confident and inspiring teachers that are sorely needed in education. The course incorporates the values of our Curious-city curriculum as well as support from our Coaching Partners Team, enabling us to provide schools with confident, capable teachers that can be the leaders of the future. "We have been really impressed with the calibre of the teachers we have taken on from Lighting up Learning. They have arrived at school with a fantastic work ethic, a passion for the role and a great foundation for their NQT year. The training has clearly provided them with good subject knowledge, a clear understanding of pedagogy and the ability to reflect on their own practice. They have continued to make rapid progress and will be leaders in the school early in their careers." "I completed my initial teacher training with Lighting up Learning last year and landed a job in EYFS in my dream school. This is largely down to the comprehensive and practical training I received. Lighting up Learning delivered inspirational, hands on, practical training which suited my learning style as a career changer and really showed me the realities of life as a teacher. When I started my first role, nothing came as a shock as the team had given me such a wide variety of experiences during my training year. I felt prepared, confident and enthused for my second career." Coaching can be a challenging approach to understand. Many people have experienced 'coaching' when in fact it was mentoring or are interested in it don't really understand how it can help them. It can easily be seen as a 'loose' approach when in fact it is robust, focused and highly effective. Coaching is for everyone and is a sign of professional and personal strength when an aspiring leader, struggling teacher or Executive Headteacher seeks out the insight it can provide. These are actual examples of work we've done and the effect it has had. Headship comes with a unique set of pressures and challenges. Coaching for George Samios, Headteacher at Twerton Infants was a way for him to achieve clarity and perspective in the thick fog of leading a school. We were able to offer a blended approach of coaching and mentoring as agreed with George due to our personal experiences of being Headteachers. Coaching for us is something that, in the details, is extremely carefully tailored to the individual setting and people, but inevitably invaluable and all too often overlooked. While supporting the school in the period between headships we established a coaching and mentoring strategy for members of the Senior Leadership team. We helped to prioritise the demands of school life and identify key foci to address the School Development Plan and update the Self-Evaluation Framework. The resilience and adaptability that coaching facilitated in staff enabled them to meet the challenge of a shifting landscape with a refreshed, positive attitude and treat the period as one of opportunity, not threat. The White Horse Federation obtained funding through the Round 1 SSIF bid to develop leaders at all levels of the system, using a 70, 20, 10 model. This model works on the basis of 10% face to face training, 20% online training and 70% ‘on the job’ training. Working in partnership with Cabot Learning Institute’s suite of NPQ programmes, Lighting Up Learning have developed a ‘pre NPQML’ programme aimed at emergent middle leaders (NQT +1 and 2). We use our detailed knowledge of the curriculum and our years in teaching to create educational materials and programmes for non-school organisations. Most recently this has involved work with both the WWT and the League Against Cruel Sports. This has centred around designing and writing a suite of pre, during and post visit questions and tasks that help schools get the most of their trips, as well as helping the organisations consider their in school offers. These were, of course, bespoke to the needs of the settings and organisations themselves. We've worked with the Wetlands & Wildfowl Trust over a number of years to continuously enhance and refresh their learning offer to schools. Most recently, the LEAD team has designed a series of activities to enable deeper learning for pupils before, during and after visits to WWT centres. As per the WWT's brief, we focused on the Science and Geography curriculum for EYFS to KS4. The project at Blaise, to re-imagine and revitalise the museum's work with both local schools and the wider community, is the latest in a long-established relationship with the Bristol Museums Service. It builds on our previous work developing their Primary age learning offer. Two streams of activity form our work with LACS. From visiting the unique and special protected animal sanctuaries in Devon conducting learning feasibility studies through to using the charity's fox cub mascot as content for EYFS to Key Stage. We are working the LACS to create a physical and online learning presence, enabling learners to become geographers, scientists and authors ultimately leading to being the next generation of conservationists. Over the past decade our Co-director Nicholas Garrick has worked all over the world, changing teaching on a country-wide level. He has instituted systems of teacher training in Colombia, created student programmes and advised on everything from top-level leadership to front line classroom practice. Working with the Jamaican National College of School Leadership & British Council, we created and facilitated a country-wide training programme to develop Headteachers as coaches. Between 2014 - 2017 we trained hundreds of Headteachers as well as Master Coaches, now responsible for sustaining the programme in the years to come. Two visits to the British Section of the Taipei European School, enabled us to provide three whole-school myth-busting and thought-provoking INSET days followed by phase-specific surgeries. The energy and enthusiasm of the staff was extraordinary, especially considering Nicholas did not hold back on challenging some misconceptions around hinge questions and mastery related pedagogy. This is easily one of the most comprehensive projects we have ever been involved in. Since 2016, we have co-created every detail alongside the EFMMa team. Through system-wide advocacy, design of materials, training of School Based Mentors and new Teaching Standards, we have created practice-driven teacher training programmes. "We will never be the same leaders again"
"It has been a long time since I have been inspired, challenged and supported within EYFS! You have given me lots to think about, research and apply in which I am very grateful! I am sure I will ‘bug’ you with many more questions over time and hopefully get to work with you again in the future!" From organising tours of schools to meetings and seminars with Ofsted, the Department for Education and the British Council, as well as a range of Universities, we have hosted delegations of Ministers, Advisors, Headteachers and Teachers from Indonesia to South America. Focused on actively engaging students as leadership partners, Nicholas authored the British Council's Student Leadership Core Skill module, used across the world. After brokering a partnership between the British Council & GIZ in 2014, we created a student empowerment programme called Integrity Councils as part of the government's 2004 Anti-Corruption Act. After training Regional Master Trainers, the programme was rolled out to schools throughout the country and is still in use through NGO support.